All Aboard for Andre’s Dream! 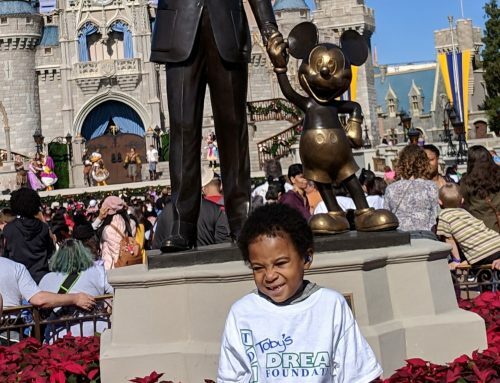 When Andre, age 9, was presented with the opportunity to receive a dream of a life-time he looked at his mom and said, “Mommy, can I go on a ship like you?” You see, Andre’s mom, Michelle, has been on many cruises and Andre was ready to jump aboard just like his mom. Andre was tired of looking at pictures of life on a cruise ship, he wanted to experience the fun for himself! 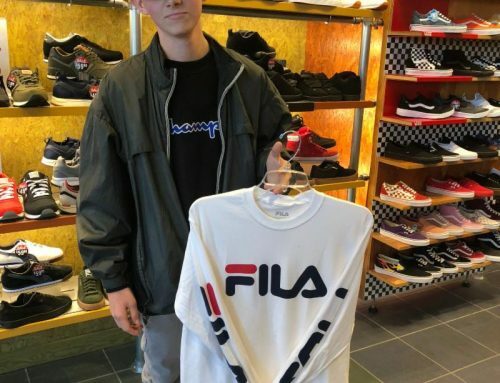 Toby’s Dream Foundation went straight to work to make his dream come true. The day they left for Florida to meet the cruise ship, Andre had trouble containing his excitement. He couldn’t believe he was getting the chance to experience so many new adventures, for he had not only never been on a cruise ship, but he had also never been on an airplane. 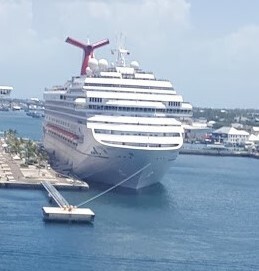 Once Andre and his family arrived at the port in Fort Lauderdale, Florida Andre was immediately blown away by the size of the cruise ship; he just couldn’t believe his dream was really becoming a reality. Life on the ship was on a whole other level! 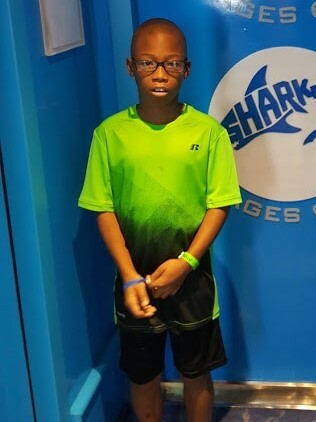 While at sea Andre had ice cream everyday day, created a build-a-bear, and played in the playroom; where his mom noted the fun activities were endless! Overall his favorite past-time on the ship was ordering room service, which of course was all inclusive. Truly, when it came to Andre, every crew member was at his beck-and-call. Andre even got to tour the Captain’s cabin! This is where he learned the ins and outs of how the ship navigates through the water to their destination. Michelle noted the crew on the cruise ship went “above and beyond” to ensure Andre’s experience was out of this world! The fun and adventure didn’t stop at the ship. 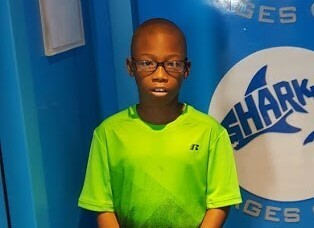 Once Andre and his family came into port in the Bahamas, they set out to enjoy their time on the islands they visited. They swam with the dolphins, enjoyed the water parks, and really loved all the delicious food. Andre’s favorite excursion he and his family took part in was going on an adventure on water bikes! 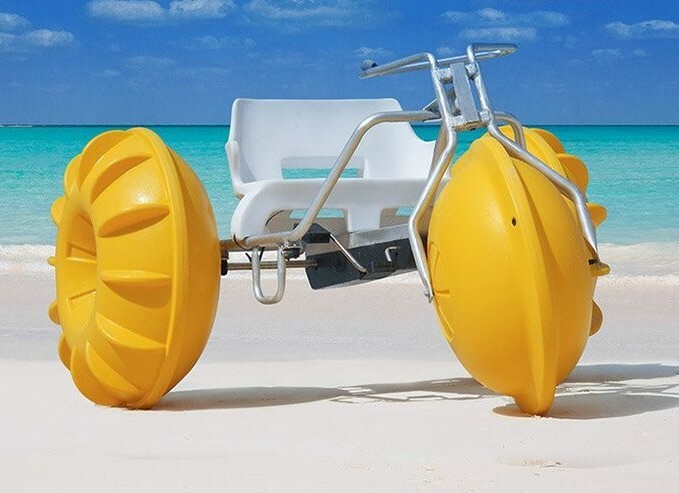 These special bikes are made to float in the water and you peddle to move the bike around! Andre especially loved racing with his brothers and would tease, “I beat you, I beat you” when he won! Michelle’s favorite part of the entire Dream experience was seeing Andre’s smile and how much he loved everything. 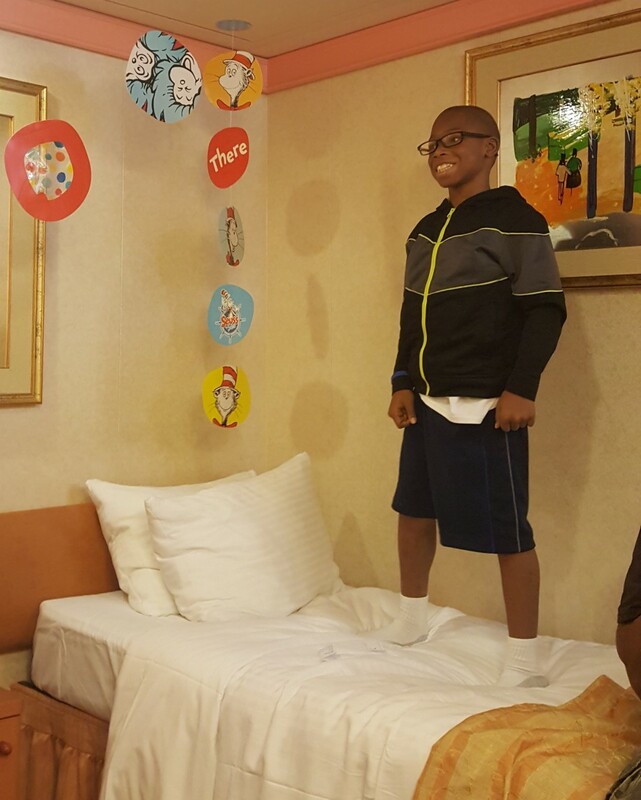 She also was blown away by the cruise ship’s customer service, noting, “the staff made the experience spectacular for him.” For Andre this trip made him feel like he is important. 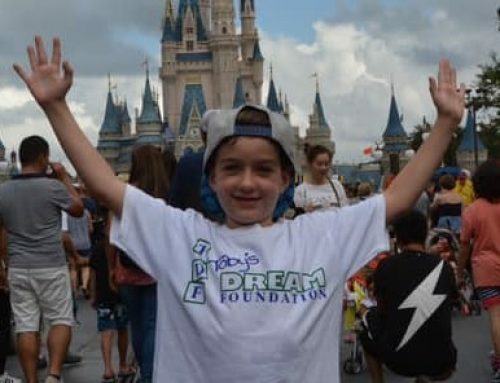 That despite his sick days and struggles, his dreams are valuable and worth supporting. 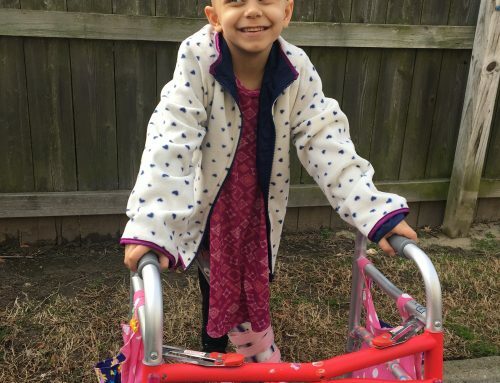 At Toby’s Dream Foundation we believe every child’s dream is important, but for the children we serve their dreams are often put on hold for sick days and treatments. 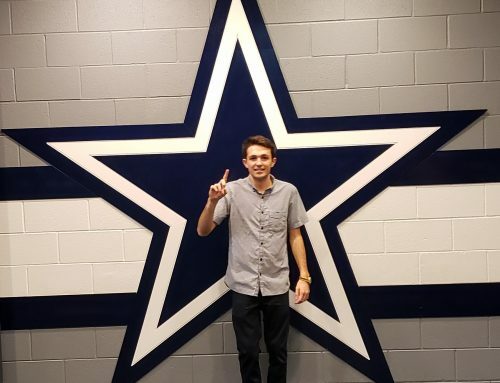 We, along with our partner We Promise Foundation, are thrilled Andre got to experience his dream!